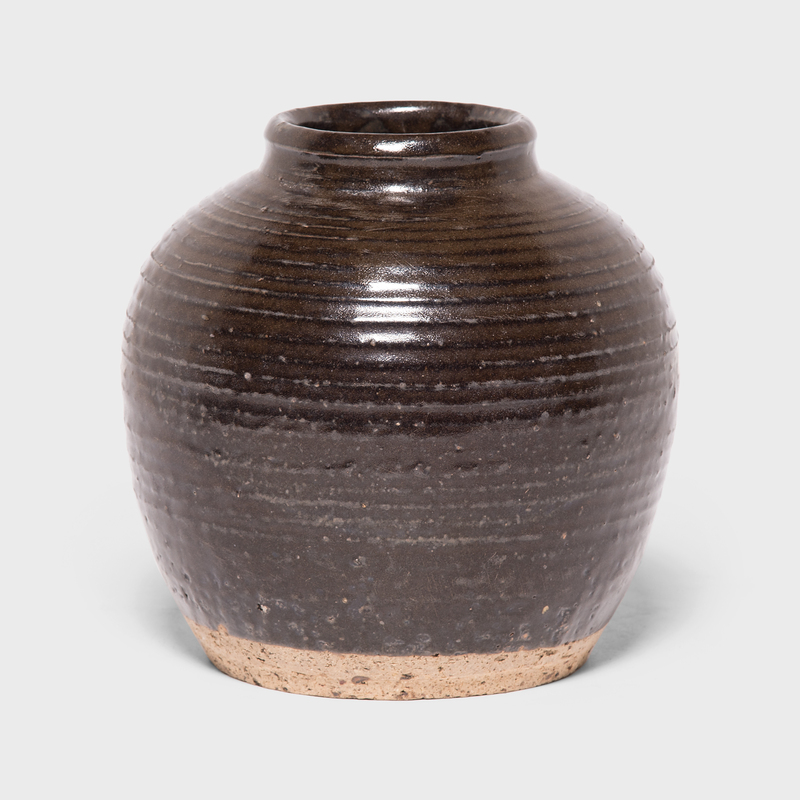 A rich brown glaze clings to the textured surface of this wine jar, lingering on subtle ridges ringing the body to create a pattern of light and dark. 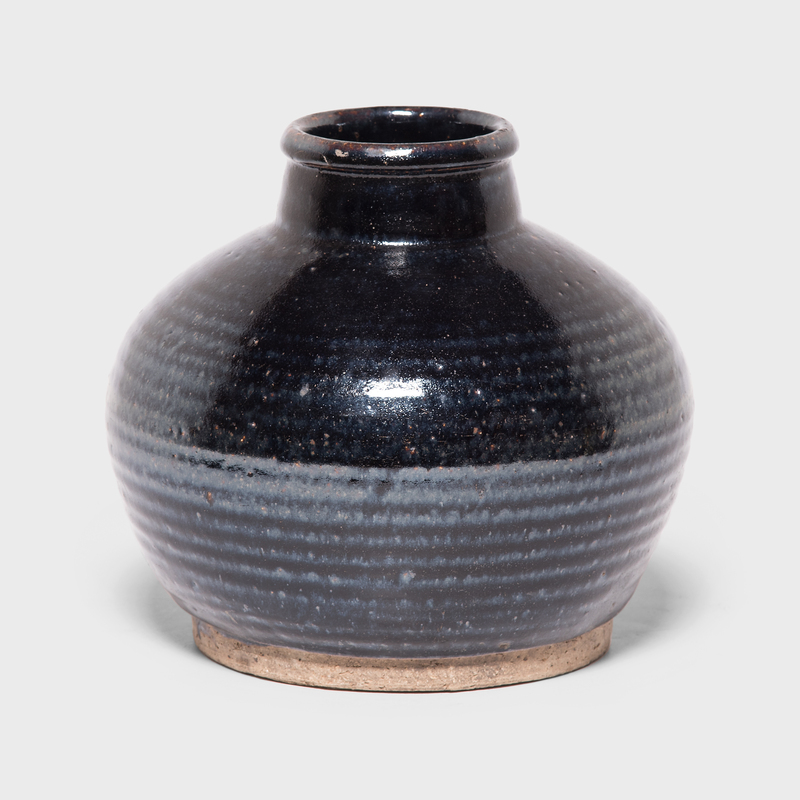 Crafted in the early 20th century, the jar was once used in a Qing-dynasty apothecary to store wines infused with medicinal herbs, as evidenced by its narrow neck and interior glaze. 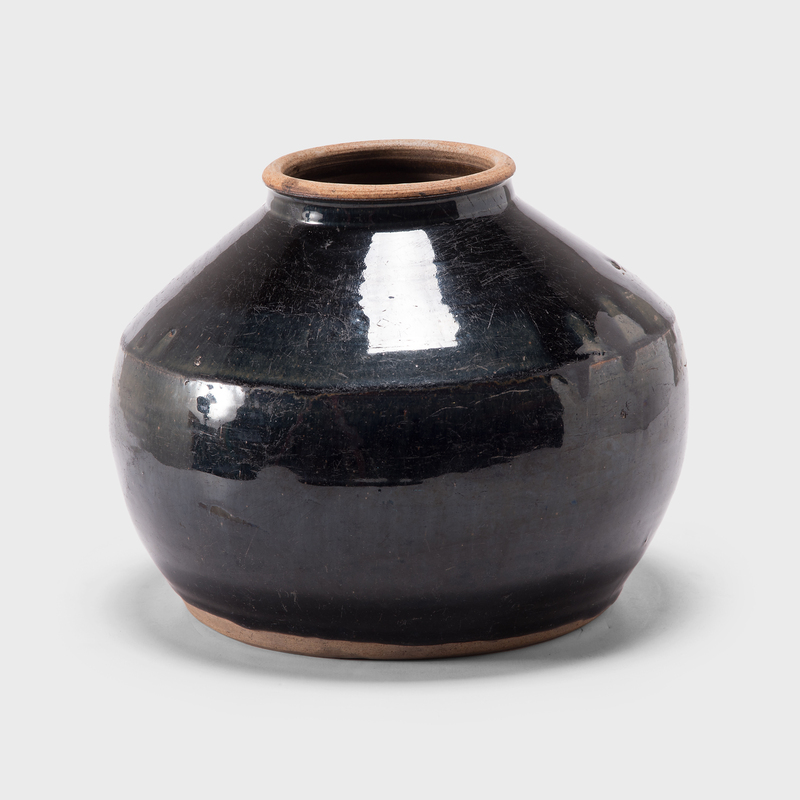 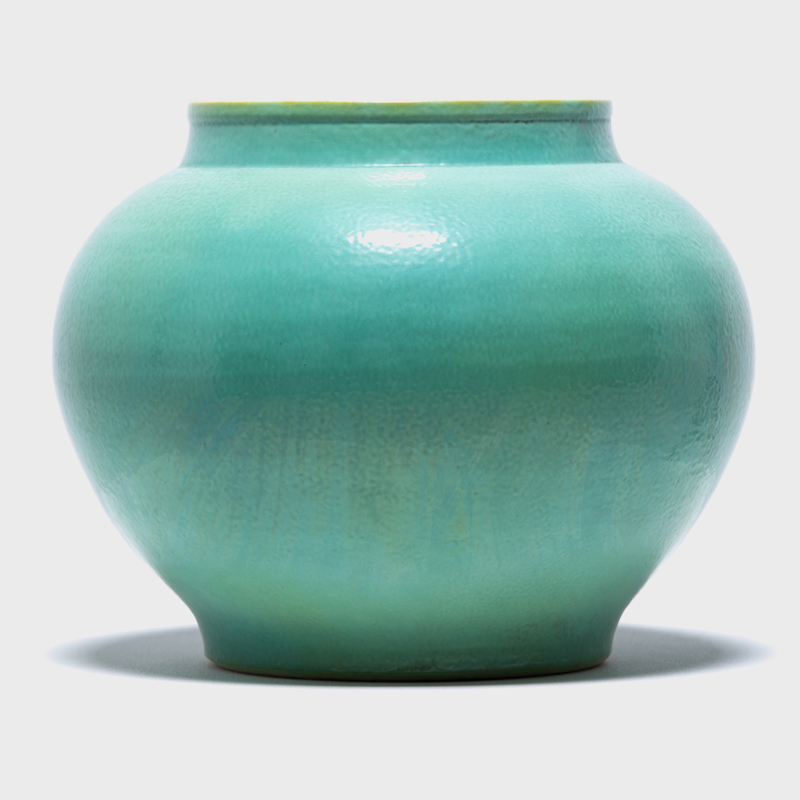 Contrasted by an unfinished base, the irregular glaze exhibits a rich range of colors and pitted wear that gives the pot fantastic character.